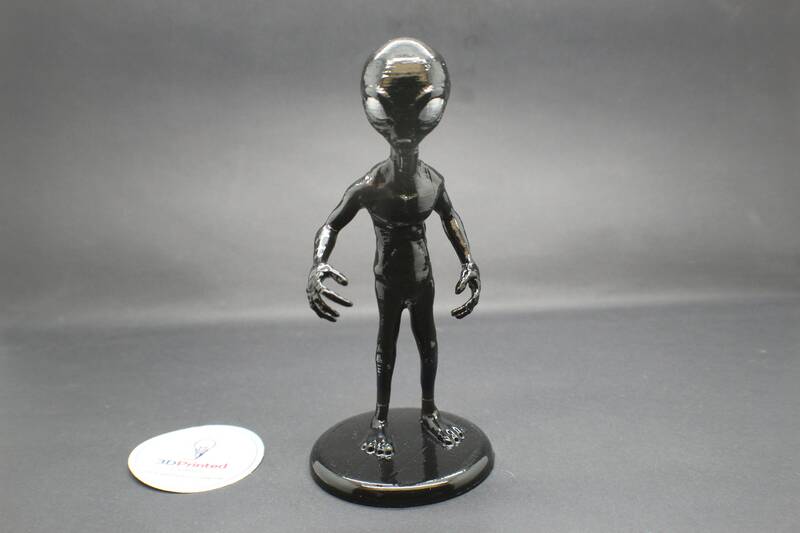 This is a 3D printed Grey Alien (AKA Alien Greys, Grays, Roswell Greys, Zeta Reticulans, Viinnadorians) polished vinyl figurine. He will come with painted black eyes unless you tell me to leave it off in your comment. He can be re-posed with a little bit of heat from a blow dryer or heat-gun to close his grip on objects or change positions. 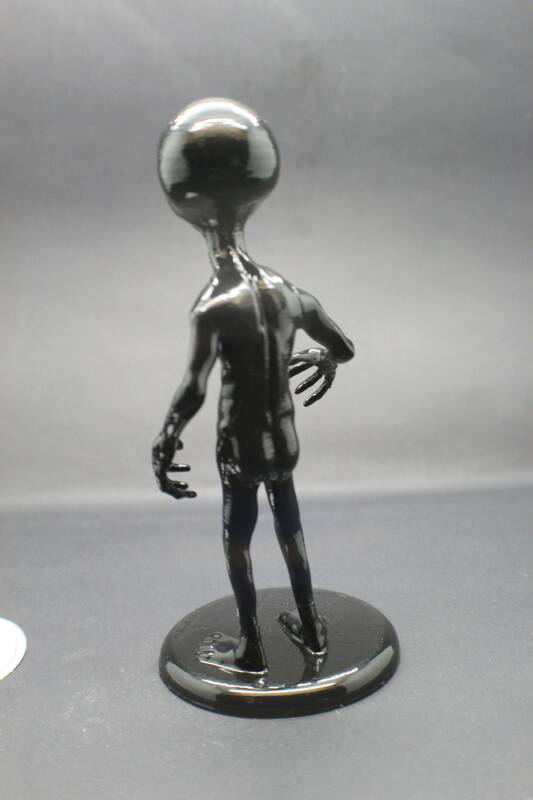 He stands 6 inches tall, 2.75" wide, and 2.75" deep. My work can be seen on the set of Warner Brother's television series “Roswell” & soon “Manifest”! 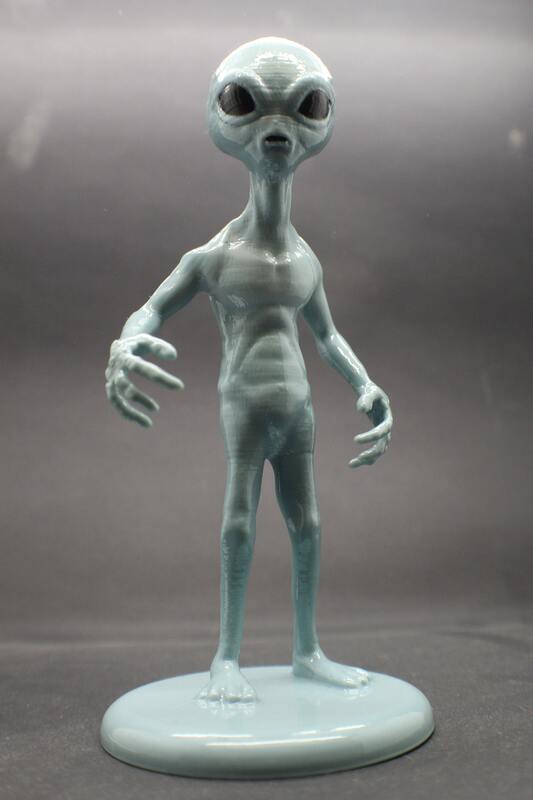 I recently granted WBTV permission to use this alien as set art in these 2 television series. It received about 30 seconds of front-and-center screen time on episode 7 of "Manifest". 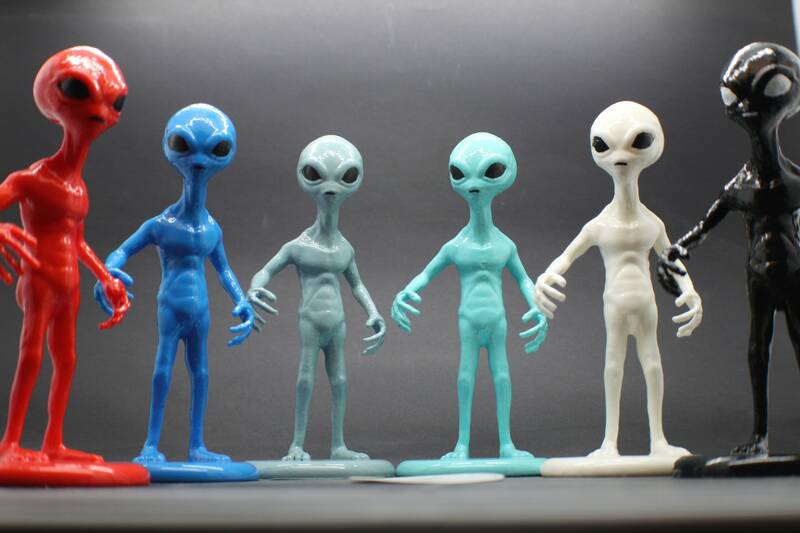 These aliens have been seen throughout popular culture in books and movies and represents what we mostly believe aliens to look like. 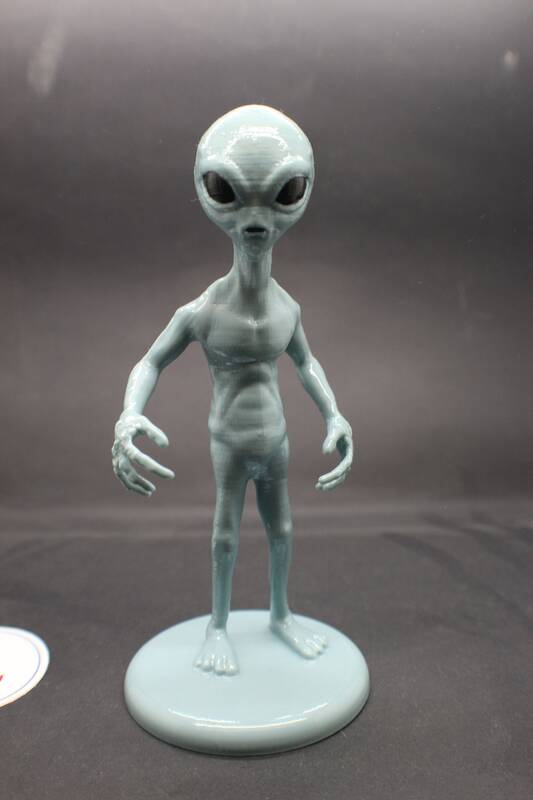 "Grey aliens, also referred to as "Alien Greys", "Greys", "Grays", "Roswell Greys", "Zeta Reticulans", and "Viinnadorians" are supposed extraterrestrial beings whose existence is discussed in ufological, paranormal, and New Age communities, and who are named for their unique skin color. 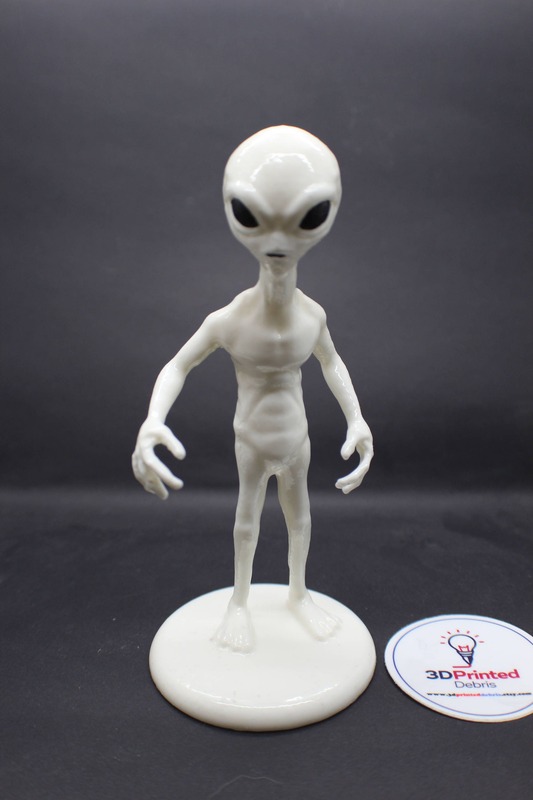 Forty-three percent of all reported alien encounters in the United States describe Grey aliens. Such claims vary in every respect including their nature, origins (ETs, extradimensionals, time travelers, or machines), moral dispositions, intentions, and physical appearances (even varying in their eponymous skin color). 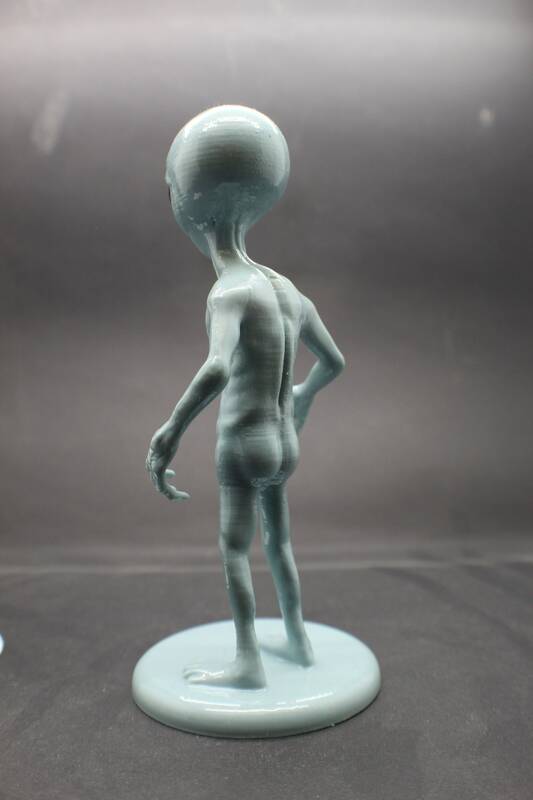 A composite description derived from overlap in claims would have Greys as small-bodied sexless beings with smooth grey-colored skin, enlarged hairless head and large black eyes. The origin of the idea of the Grey is commonly associated with the Barney and Betty Hill abduction claim which took place in 1961, although skeptics see precursors in science fiction and earlier paranormal claims. 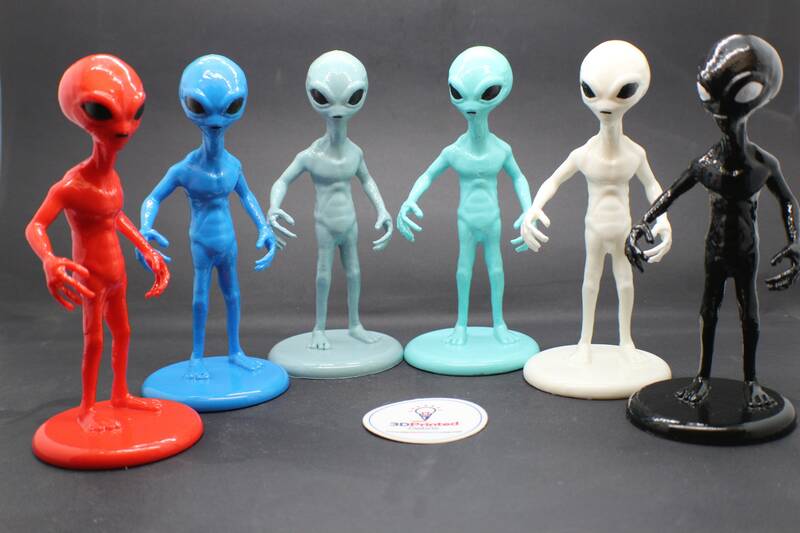 The Grey aliens are also famous from earlier depictions of the Roswell UFO incident from 1947." 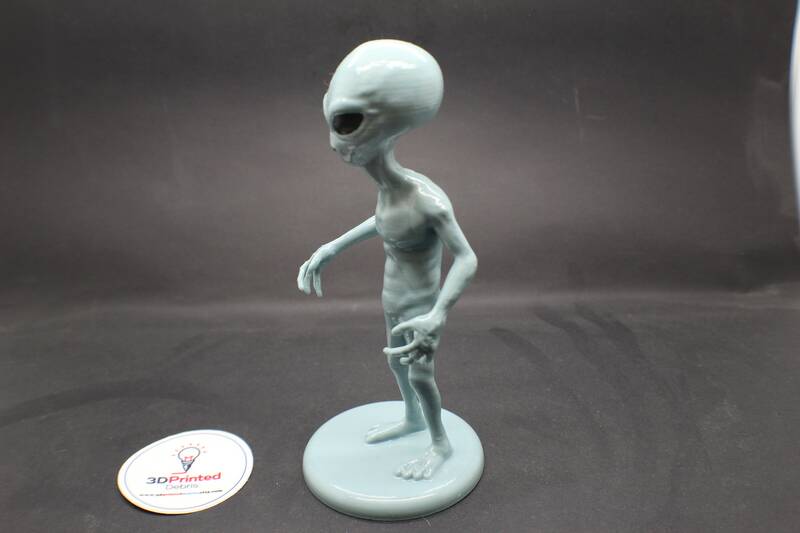 This Grey is made of PVB, a 3D print-able vinyl variant that dissolves in alcohol, giving the model a nice glazed finish. It almost looks like it has been cast in ceramic and given a clear glaze. 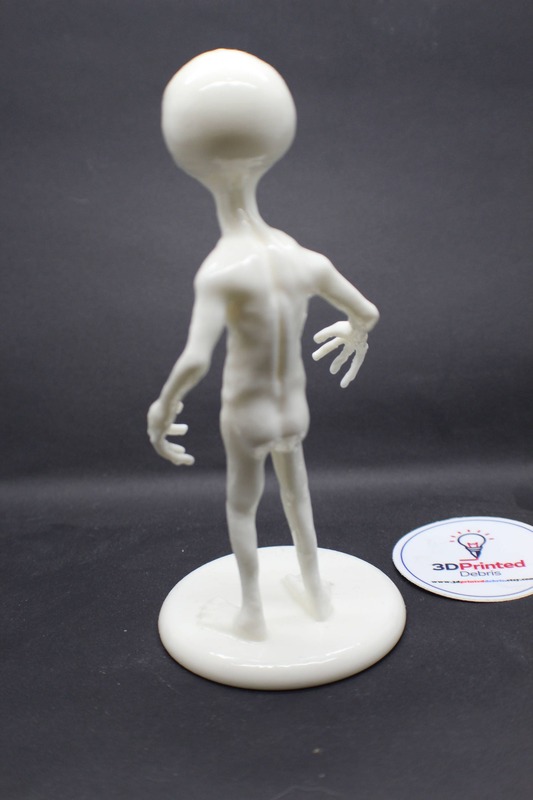 Attribution: this is a derivative of Thingiverse.com thing 2039374 created by Icenvain. I have modified it to be 3D printable, as well as fixed some errors in the original file . Perfect piece for our Orbit hops display. Love it. Nice size. Buy one! Or TWO! The item I purchase looked great when it arrived, it looks better than the picture, I’m stocked to have come across such unique and special item. I love it! I purchased the black version and it's exactly as pictured and described. I like the shininess of it. This little alien is wonderful. Realistic and so much fun. It arrived on time and in perfect condition. Recomended.